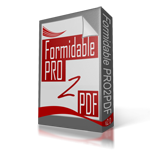 Hi, I have the free version of Formidable Form and Formidable PDF and the uploaded a PDV but when I search the fields on the map, I do not get all the fields. Only some leave. We’ve seen this happen with Adobe LiveCycle forms. Upload the PDF using this form and we take a look at your form to locate the issue.